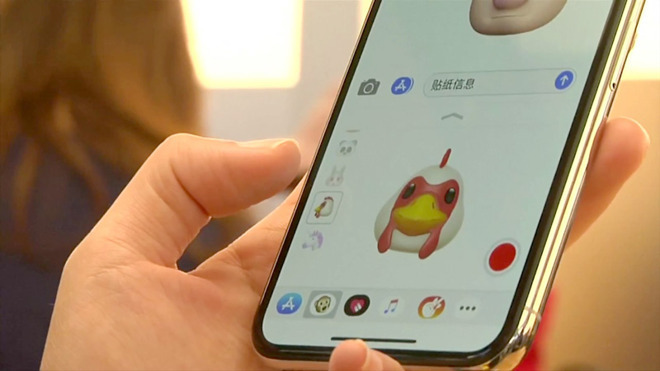 Investors are shifting their discussions on Apple towards the potentially lucrative Services arm in the face of "moderating" iPhone revenues, the JP Morgan investor note seen by AppleInsider claims. The services, shown at the March 25 "It's show time" event, covered "more breadth than investors expected," but what transpired seemingly wasn't good enough. "We believe it failed to offer the depth that investors would have liked to see as it relates to positioning each services offering for success," the note suggests, "particularly for the much anticipated Apple TV+." Along with Apple TV+, Apple used the event to launch the Apple News+ subscription, Apple Arcade, and the Apple Card credit card. While Apple News+ has become available to use, the remainder are anticipated to go live later in 2019. JP Morgan believes the launch of Apple TV+ later in 2019 will be an entry into an already competitive and fragmented marketplace, made even tougher as each player tries to carve out their own niche for original content. "While Apple is positioning itself as a hybrid of original content and aggregation of different subscription services, the industry leader Netflix is pursuing original content plans as well as looking to accelerate it" by buying a production studio, according to the analysts. On the aggregator front, Hulu and Roku are highlighted as positioning themselves as collectors of content and live TV in Hulu's case, subscription services for Roku. Disney's Investor Day on Thursday is also thought to be worth monitoring, due to the media giant's own streaming service intentions, and the likelihood more details will be revealed to observers. JP Morgan is not the only analysts to be underwhelmed by the collection of new services. On Wednesday, HSBC downgraded Apple's stock to a "reduce" rating, amid complaints AppleTV+ and the other services are "too late" to make a major impact in their respective industries, while other analysts have expressed similar opinions. For iPhone suppliers, JP Morgan believe they had mixed fortunes for March. On a month-over-month basis, aggregate revenues rose 34 percent in the month following four months of sequential declines, and is up from the historical 21 percent increase seen in earlier years. On a year-on-year basis, revenue for March grew 8 percent, a change from the year-on-year decline of 4 percent for February, and 2 percent growth for January. "We believe the above supplier revenue trends are starting to point to a likely bottoming out of iPhone revenue headwinds," the analysts suggest, based on anecdotal evidence it receives from the supply chain firms. On a quarterly basis, aggregate revenues decelerated in the first calendar quarter of 2019 to 2 percent year-on-year from 7 percent growth seen in the fourth quarter of 2018. A strong historical correlation between JP Morgan's supplier tracker and iPhone revenue growth allows the analysts to conclude "the deceleration in supplier revenue growth points to continued iPhone revenue declines" for the second calendar quarter of 2019, "albeit to a lesser degree."